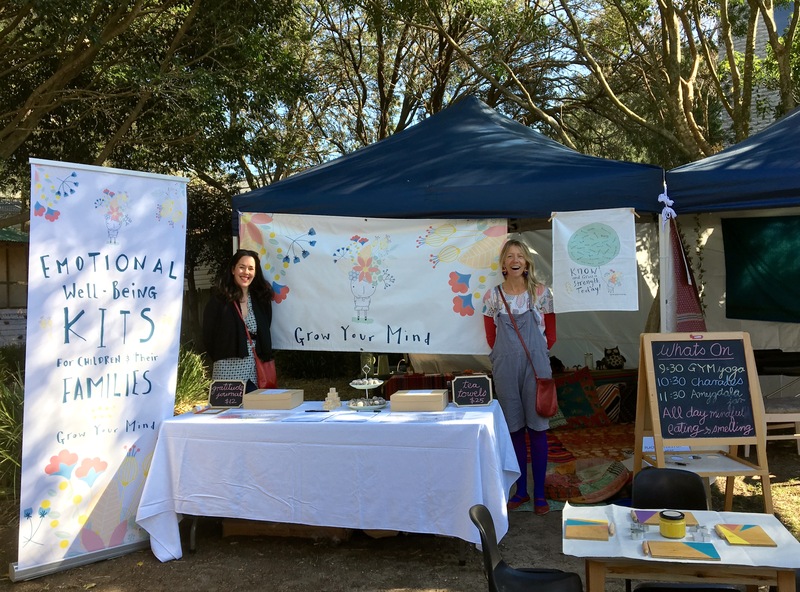 ''An acupuncturist and a primary school teacher might sound like a strange combination, but that is exactly who the founders of Grow Your Mind are. We are two mums who share a passion for young people’s well-being. In May of this year we founded Grow Your Mind kits: a social venture that educates young children about their mental health. Grow Your Mind brings together 2 big passions for us both: our children and our work. As a teacher Alice has a particular interest in social and emotional learning and how it can be enhanced by positive psychology (the science of human flourishing) and mindfulness. And for me, in my work as an acupuncturist, I see how inter-related emotional and physical health are. The idea of developing a kit came about after my second child Otto was born and his big sister Ondine was having a hard time with it. Together, her and I, made a little treasure box. It had cards and photos to remind her of how loved she is, keepsakes of special value and some items that would give her strategies in tricky situations to help her calm down. I wanted to share the bones of what I had made in a way that would be accessible and fun to the rest of the community. Meanwhile Alice was teaching mindfulness and resilience in a variety of schools. She had created a playful way of sharing brain awareness with children using animal characters. Alice loved my idea but wanted a focus on prevention too. Together our aim was to create something that would promote joy and an awareness of looking after mental health in the same way we look after our teeth and physical body.